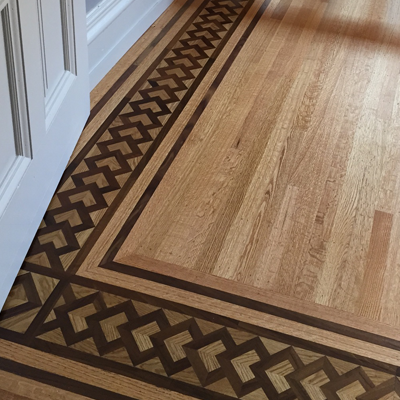 We offer custom layouts, border and medallion installation, patterned installations and installation of site finished as well as pre-finished flooring. These can include solid and engineered wood flooring. We also install laminate and LVP for some below grade applications. Please contact us to see which option is best suited to your home or business. We strive to keep our customers educated throughout the process and pride ourselves on keeping communication open throughout your project. 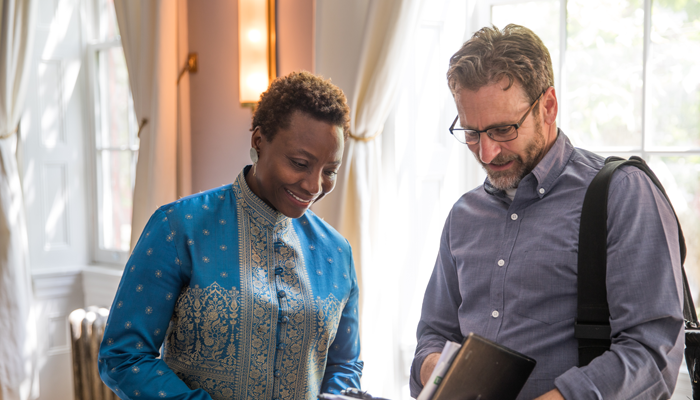 Every house or business has it’s quirks and we take the time to explain every nuance and how that will affect the final cost for our clients. 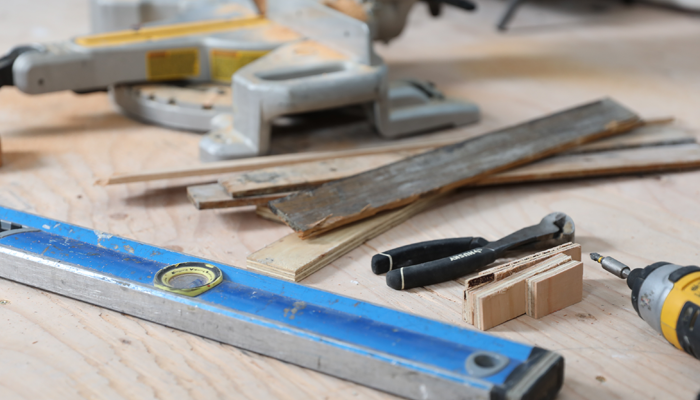 There are a variety of ways to install a hardwood floor. Each installation is unique in terms of floor plan, substrate, the materials used, etc. All these factors can affect the length of time an installation may take. Each project is different and we take the time to educate you about all of the options available. 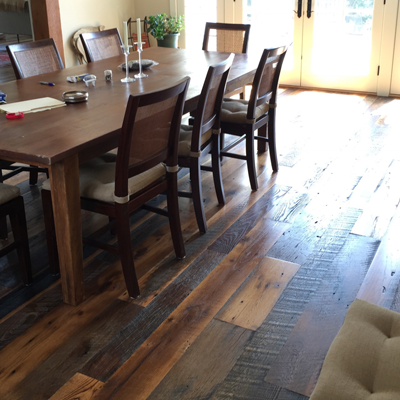 Once we've worked with you to put together a custom quote our team can begin installing your new hardwood floors. The first step in the installation process is the delivery of the flooring to your home or business. Often your flooring will arrive ready for installation, although it will sometimes need to be acclimated to the space because it is either too wet or too dry to install. This determination will be made by measuring the moisture content* of your flooring as well as that of your subfloor. We will also measure the relative humidity * of the space. These measurements are an important part of the process to ensure a successful installation. The next step will be to examine the subfloor for flatness. If it is within NWFA* tolerances, the installation can proceed. If not, the subfloor will need to be flattened. 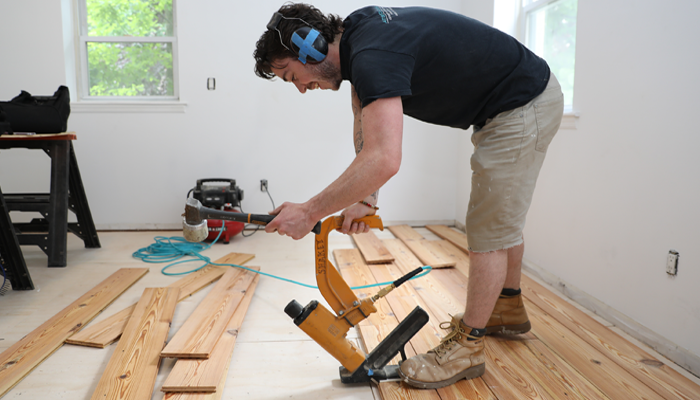 If the subfloor is plywood or wood planking, high areas will be sanded flat and low areas will be shimmed to height. If the subfloor is concrete, high spots will be ground flat and low spots will be filled with a self-leveling compound. This is to ensure that there are no high or low points for the flooring to flex around which can cause the flooring to sound hollow or become loose which may lead to costly repairs. At this point, a moisture barrier will be used to stop moisture from migrating from your subfloor (or from below your subfloor) into your wood flooring. If your subfloors are concrete we may roll or spray a liquid moisture barrier or we may use a 6mm plastic sheet or both. If your subfloors are wood plank or ply, we will roll out a tar impregnated paper. From here, the installation can begin! Although dust containment is used with many of our saws, some of it can still escape and become airborne. To help contain any dust, masking will be put in place to ensure that it doesn’t make its way into other parts of your home or business. Our team checks in with the homeowners daily in order to give them a status update on the progress of the floor installation. Our team also takes care to clean up the site in it's entirety after every single day on the job. 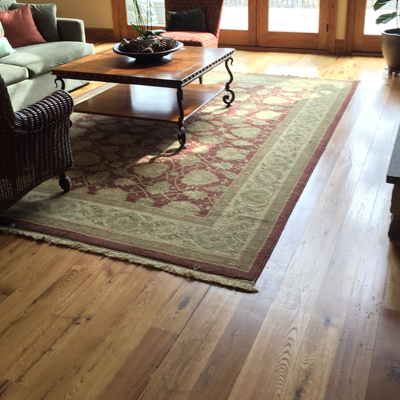 Prefinished Flooring: We install prefinished flooring that comes from the manufacturer with a factory finish. Factory finishes are often impregnated with aluminum oxide, which makes for a very durable product. There are many options to choose from but we recommend purchasing a higher end material. 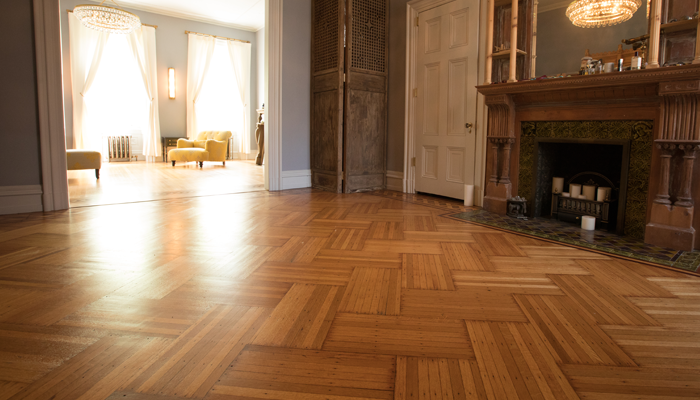 One advantage of a prefinished product is that once it is installed, there is no need to sand and finish your floor. This can speed up the process overall and generally there is no need to vacate your home during installation. One disadvantage with a prefinished product is that there are still spaces between the boards with no finish, so it is easier for spills and moisture to get down between the planks. Because of this, we don’t recommend prefinished flooring for areas that are exposed to moisture frequently, such as bathrooms and kitchens. Site Finished Flooring: We also install site finished flooring. Site finished flooring comes from the mill or distributor raw, meaning there is no finish on the face of the material. 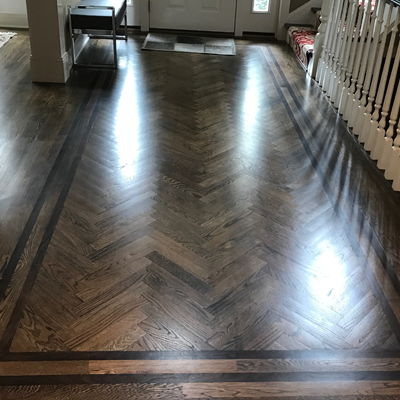 It is installed in the same way a prefinished product is, but after installation, it is necessary to sand and finish* this type of floor. This is our preferred method of producing a personalized floor. There are an almost unlimited variety of species of wood, colorants, textures, patterns and finishes to choose from and the combinations are endless. We can create a floor for you that is truly an expression of your aesthetic sensibility and yours alone. Nail Down Installation: Nail down installations are generally for solid and engineered flooring with widths ranging from 1” to 4”. 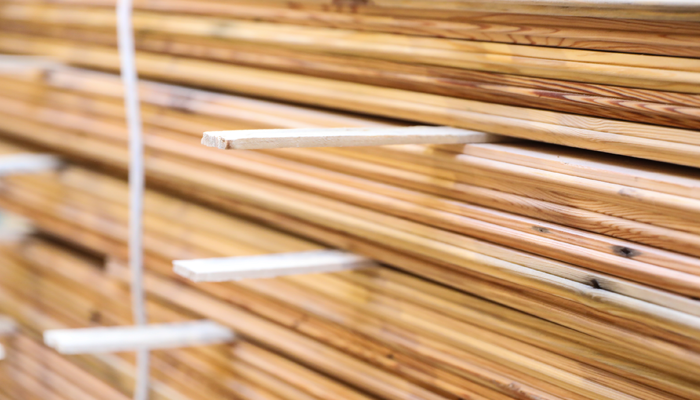 They are typically installed over a solid wood or plywood substrate on or above grade. Glue Assisted Nail Down Installation: Glue assisted nail down installations are recommended for both solid and engineered flooring with a board width of 5” or more over a solid wood or plywood/OSB substrate, on or above grade. The flooring is attached to the subfloor with both adhesive and cleat nails. Full Spread Glue Down Installations: Full spread glue down installations are generally performed over a concrete substrate, although this method will sometimes be used with very wide plank installations or patterned floor installations. It will sometimes be utilized in below grade applications as well. Floating Installations: Floating installations are typically done with engineered, laminate, and LVP “click lock” flooring. On occasion, a solid wood floor will be glued together and floated. The flooring is joined together and laid on top of the subfloor. It is not attached to the subfloor and is held in place with either baseboard or quarter round trim. Patterned Floors: Patterned floors are also referred to as parquet. 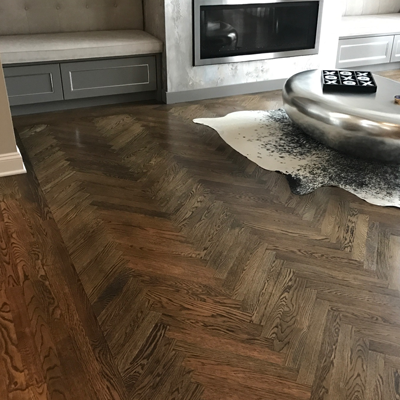 Some of the more popular patterns we offer are chevron, herringbone, and block parquet. Border Work: Border work can range from a simple frame around the field of a floor to very intricate and detailed geometric patterns that can include feature strips, corner blocks, and French knots. Medallions: Medallions are often installed as accent pieces in high traffic areas. Almost any image desired can be incorporated into a medallion. Installation Equipment: Festool, Fein, Bosch, Dewalt, Milwaukee, Crain, Bostich, Primatech, and Porter Cable.